For those keeping track, this documentation also stated that the hangup was due to the failure to implement Samsung’s proprietary applications (i.e. bloatware) onto the device. Because of this, we were quick to speculate that the most plausible explanation was that the device’s 1 GB of RAM would make it incapable of bearing the full weight of Samsung’s latest generation TouchWiz bloatware. In order to facilitate an effective upgrade on the Google platform, various hardware performances such as the memory (RAM, ROM, etc. ), multi-tasking capabilities, and display must meet certain technical expectations. The Galaxy S3 and S3 mini 3G versions come equipped with 1GB RAM, which does not allow them to effectively support the platform upgrade. 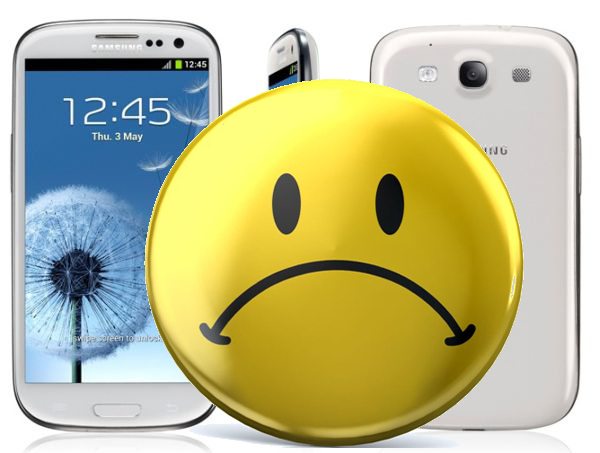 As a result of the Galaxy S3 and S3 mini 3G versions’ hardware limitation, they cannot effectively support the platform upgrade while continuing to provide the best consumer experience. Samsung has decided not to roll-out the KitKat upgrade to Galaxy S3 and S3 mini 3G versions, and the KitKat upgrade will be available to the Galaxy S3 LTE version as the device’s 2GB RAM is enough to support the platform upgrade. Sadly, this also brings bad news for Galaxy S III Mini owners, as they too will not be receiving the official KitKat love. However, Samsung reiterated that the Galaxy S III LTE will indeed receive the official OTA thanks to the device’s 2 GB of RAM. It’s quite unfortunate that the relatively new Galaxy S III and S III Mini won’t receive KitKat. This flies in the face of Google’s efforts with Project Svelte to make the OS run on devices with limited hardware specifications and as little as 512 MB of RAM. But judging from the amount of bloatware features that Samsung shoehorns onto their devices, this should come as no big surprise for anyone. That still doesn’t make it right, and perhaps Samsung should take this as a sign that they should consider trimming off some of the fat in their custom UI.